Welcome to Julestar. 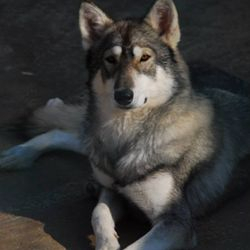 We have for a number of years been international breeders of quality Northern Inuit and Timber Dogs. 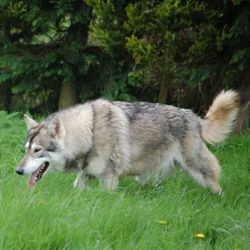 My Timber Dogs combine with my Northern Inuit as founders to create our own Timber Dogs. 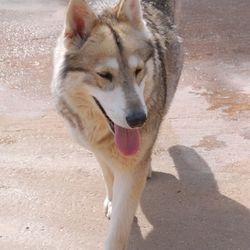 Assuring similar characteristics and temperament. 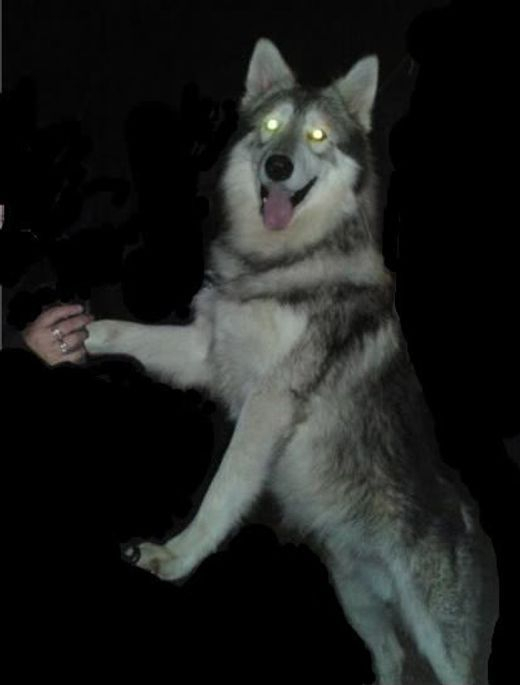 Shaman is my main founder dog and has put his stamp through my lines over the years. His progeny is recognised in many circles. 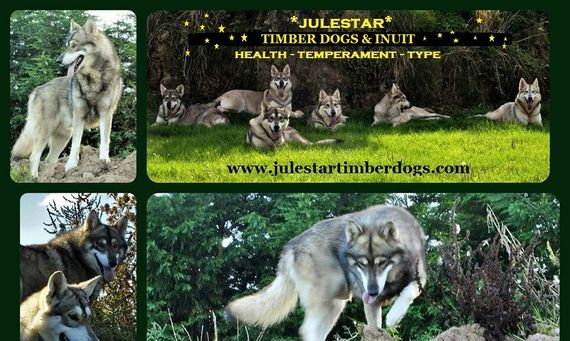 Julestar Dogs are registered with The Timber Dog Club UK of which I am the founder. We live in a remote smallholding in N.E.Lincolnshire with a mixed menagerie. 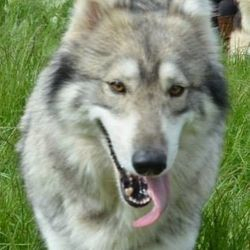 I have lived with animals and dogs all my life and have had an active interest in rarebreeds. 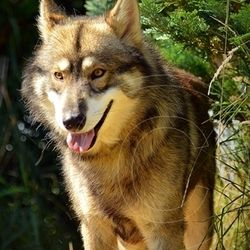 In particular "Wolf like" breeds. 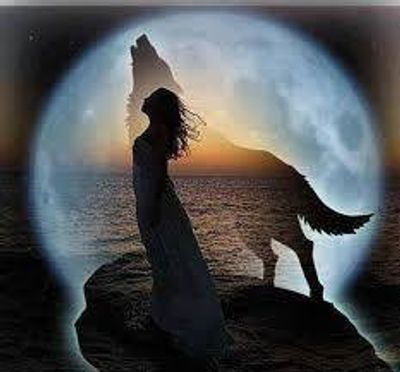 With these, it was and still is, very much "Love at first sight, forever smitten". 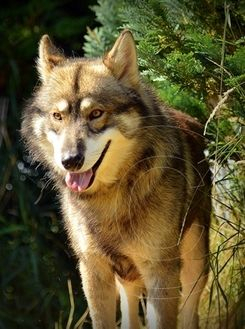 I am still awed by their majestic presence while still being friendly, fun and very loving. They have a charisma unequelled. Our dogs are our family and enjoy a home environment, combined with their own areas for excersize and socialising. 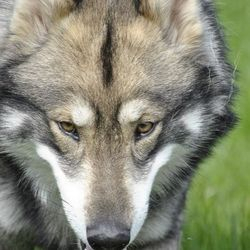 We always adhere very strictly to codes of conduct in our breeding programme and vigorously promote and encourage understanding of the breeds. We concentrate on quality as opposed to quantity. We will gladly discuss your requirements with you and recommend fellow approved breeders who may have a puppy or older dog available. Or, place you on our list for a *Julestar* puppy. 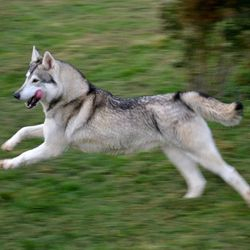 We are International breeders and export worldwide. We complete all the necessary documentation and health requirements for your country. We only use trusted professional couriers. Promote the recognition and understanding of our breeds. 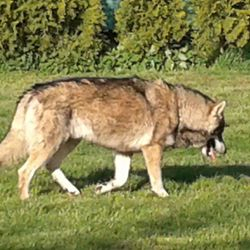 Promote healthy and robust dogs in our breeding programme. Provide advice, help and offer unity of like minded people through our forum and activities here at The Lodge. 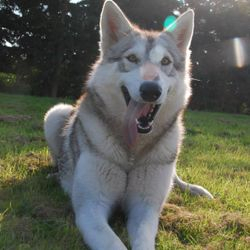 Is, the main *Julestar* Northern Inuit and Timber Dog proactive forum for our dogs. Here, you can keep updated with the daily life here at The Lodge. 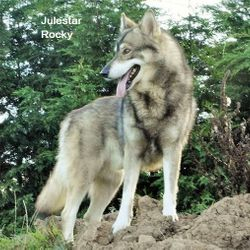 It offers much support and information for our "People Pack" and their *Julestar* bred companions. Just click on the link and join our group dedicated to the love of our breeds.